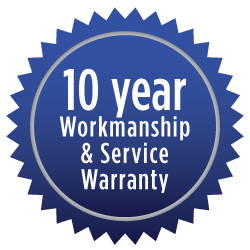 Penn Windows & Doors is proud to present you with a superior 10 Year Workmanship and Service Warranty. 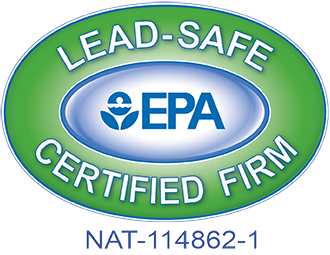 This warranty is in addition to, but runs concurrently with any manufacturers’ warranties. It covers all service calls related to warranty replacements and/or installation issues for the first ten years after product installation. This Workmanship and Service Warranty is non-prorated and non-transferable. The only parts covered under this warranty are those covered by the manufacturers’ warranties. Storm doors, exterior shutters and aluminum exterior cladding do not have a service warranty. Window, patio door, and storm door screening material is not covered under any warranty. This Workmanship and Service Warranty does not cover any damages or material failure including, but not limited to, normal weathering, oxidation, Acts of God, fire, flood, impact from foreign objects, chemical pollutants, mildew, structural defects, negligent maintenance or abuse. Manufacturers’ shipping fees are not covered and will be passed on to customer. There will be a service fee charged for service calls following the expiration of this 10 year warranty. 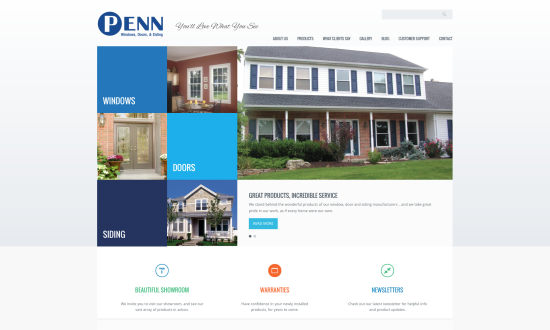 This Workmanship and Service Warranty is issued pursuant to a contract signed with Penn Windows & Doors and does not override any terms and conditions of such contract.